Organising any community event takes huge amounts of hard work and dedication, and Ripon mum Amber Strzeszewski really poured her heart into making her latest charity fundraiser a massive success. 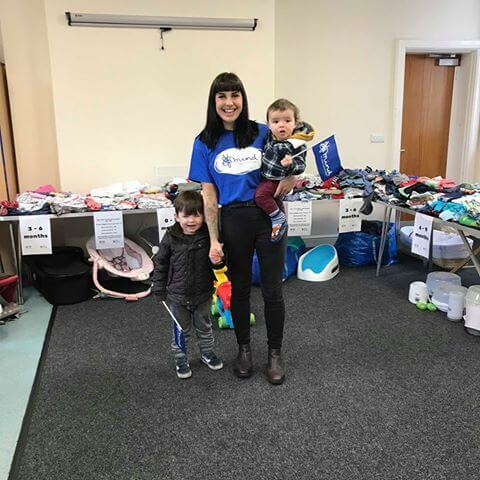 Throwing herself into raising money for two brilliant charities – Ripon Toy Library and Mind, Amber managed to pull off a really well-supported baby sale event at Ripon Community House. Not only was the sale very popular with its wide range of children’s toys and clothes, Amber did a great job in raising vital awareness of what the charities do, and the difference that they make to people’s lives. In total, Amber raised more than £620 over the course of just two days. Amber said: “I would love to say a huge thank you to absolutely everyone who made the pop-up baby sale a possibility. From my parents and best friend who helped me set it up, to those that shared the event on Facebook, and of course all the wonderful people who came on Friday and Saturday.